The ensemble of Destiny of Desire sings, ,dances and plays during a transitional moment in this "unapologetic telenovela in two acts." In point of fact, recent plays with English accents have risen to the challenge—notably in Shakespeare in Love last season and in Sense and Sensibility currently: kudos to voice directors, David Carey and Robert Ramirez, respectively. I've not spent such an enjoyable afternoon in the theatre for quite some time, and certainly not laughed out loud so often. 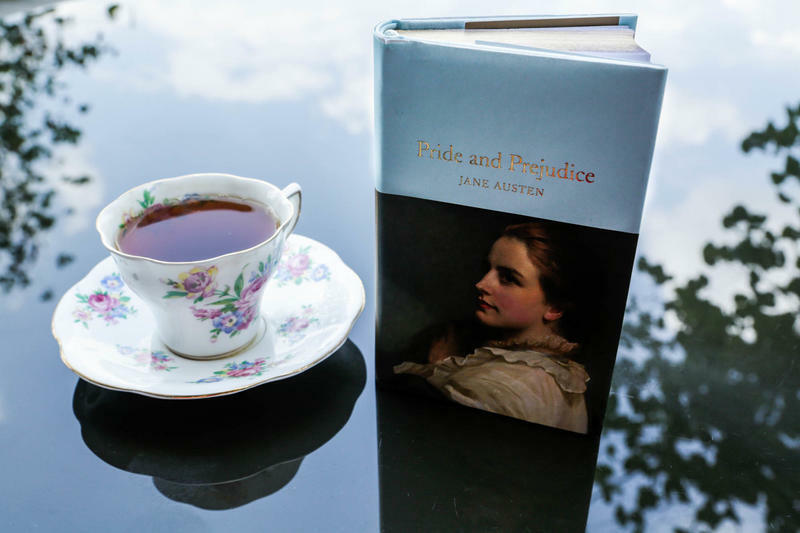 There was scarce a slip in the diction in the Austen adaptation, due in part, perhaps, to the fact that, with the single exception of Brent Hinkley in the role of Thomas the servant, none of the cast was obliged to adopt a regional or lower class accent. They were all in command of their upper class accents, and this was no doubt a considerable support to their becoming such credible characters. Moreover, the plot of this book, although not simple, does not involve so many twists and turns as, say, a Dickens novel, and that, coupled with an admirable economy of staging, led to a production which was charming, well-paced and entirely comprehensible. The set (in effect the interior hallway of a country house, somewhat past its prime) remained the same throughout the play and changes of scene were indicated by the simple rearranging of chairs and tables, by the closing of a curtain, by shifts in the lighting, and by the use furniture brought on through the trapdoor. Members of the cast moved chairs and worked as a choric (and physical) ensemble to flesh out the narrative, and to show the reaction of society at large to the lives of the central characters. This adaptation was more faithful to the novel than the 1995 film in retaining allusions to other literary works: for example, this adapter trusted that the audience would have heard of Cowper. It was very touching to hear Kevin Kenerly reading from Romeo and Juliet and to remember his playing Romeo in 2003 opposite Nancy Rodriguez who plays Elinor Dashwood in this production. There is much to be said for keeping the continuity of a repertory company. I would give special praise to the young Samantha Miller, a trainee who gave such a polished performance as Margaret Dashwood and Lucy Steele—she will be someone to look out for in the future. There were aspects of Sense and Sensibility which were at times reminiscent of a telenovela (yes, I’m aware of the anachronism! ): the sudden revelations of previous relationships, the intrigue and the mistaken identities. For fans of the real telenovela, OSF offers Destiny of Desire. Whoever proposed this production deserves the thanks of us all. It is an inspired choice of play, and I am sorry that it is not running for the whole season—by the time you read this column, this exuberant and entertaining blend of music, song, drama and dance may well have become completely sold-out. 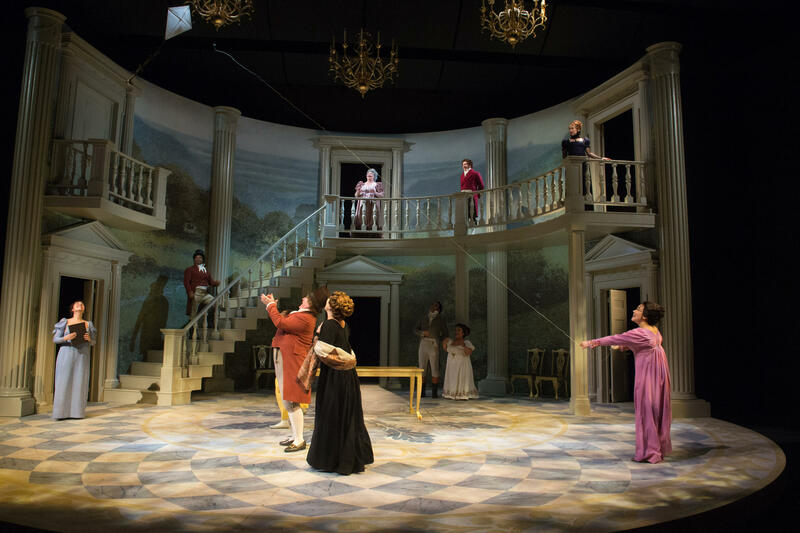 The cast, drawn in part from the original production in Washington DC, to which some regular and much-loved OSF stalwarts have been added, worked, like the cast of Sense and Sensibility, as a mutually supportive ensemble. Elinor Dashwood (Nancy Rodriguez, upper right) and her family must navigate their gossip-filled community (Ensemble). There was doubling, and, as in the Austen adaptation, some very fine physical acting, including not only slow motion movement but even total rewinds! Each moving of the stage furniture became itself an amusingly choreographed event. I’ve not spent such an enjoyable afternoon in the theatre for quite some time, and certainly not laughed out loud so often. The cast were clearly enjoying themselves, but nowhere near as much as the audience: we loved every moment. In the Telemundo telenovela "Reina de Corazones," Pablo Azar plays a revenge-seeking son who poses as a valet driver to get even for his mother’s death. “The murderer is always the nice guy, the innocent one,” he said in one of the scenes, as he brandishes a gun in an immaculate South Florida living room. But Azar, with a self-described “good guy face” who usually is cast as a heart-throb or good-guy-turned-bad, is now playing a role he’s never been cast for on TV — union organizer.